Lawrence County Band Fest Swaggar & Rivalry from wcn247.com on Vimeo. ELLWOOD CITY, Pa.– Lincoln High School in Ellwood City hosts this year’s Lawrence County Band Festival marking the 37th anniversary of the county-wide showcase. The show begins at 7 on Wednesday night at Helling Stadium. Organizers say each Lawrence County high school will participate with a special performance prepared for the event. The show also has a Westminster College connection. WC music professor R. Tad Greig will lead the Westminster College Titan Marching Band at the festival. If you can’t see the show in person, don’t worry. WCN will record the festival for playback on on Armstrong and Comcast cable systems as well as archive it to stream on wcnlive.com. WCN has scheduled the show to run at 8 a.m. and 8 p.m. on each Wednesday for the next month. The telecast will feature WCN’s Connor Hamilton announcing with retired Wilmington Area High band director Gary Taylor. The festival also brings out some friendly rivalry between schools and band directors. WCN’s Brad Weaver produced this story a few years ago about the rivalry between Shenango and Lincoln and the band directors who were once classmates. 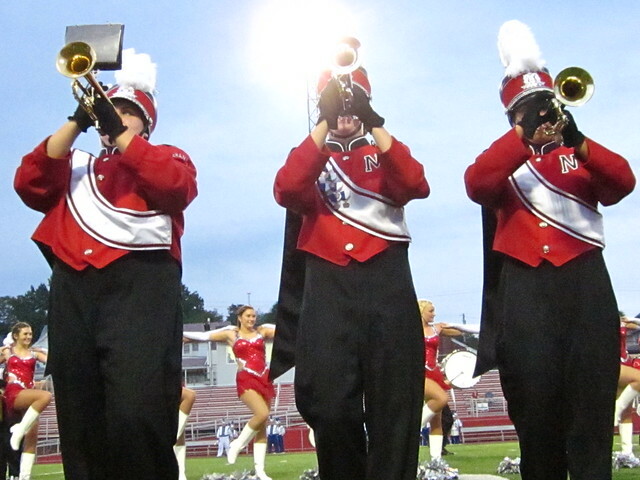 Watch the Lawrence County Band Fest here!